I wanted to share with you a special technique that is quite popular right now called Bokeh. In photography, bokeh (pronounced BOH-kay) is the aesthetic quality of the blur produced in the out-of-focus parts of an image produced by a lens. Bokeh has been defined as “the way the lens renders out-of-focus points of light”. Differences in lens aberrations and aperture shape cause some lens designs to blur the image in a way that is pleasing to the eye, while others produce blurring that is unpleasant or distracting—”good” and “bad” bokeh, respectively. Bokeh occurs for parts of the scene that lie outside the depth of field. Photographers sometimes deliberately use a shallow focus technique to create images with prominent out-of-focus regions. 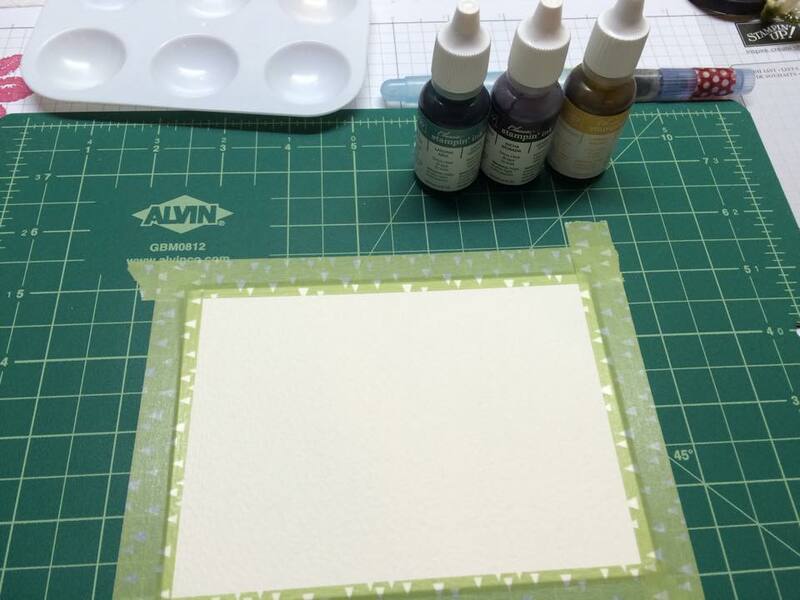 So this is how I prepped my watercolor paper- adhere to a waterproof mat with washi tape. 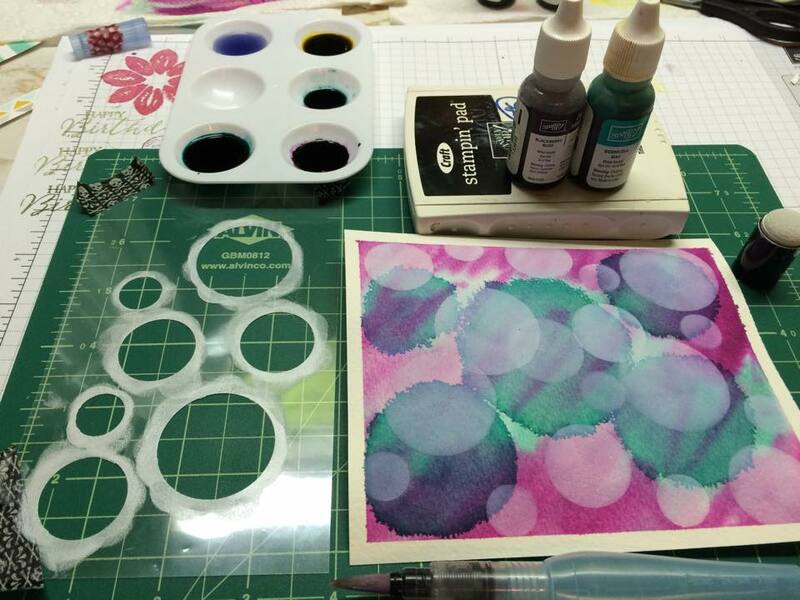 Saturate the watercolor paper with water using aqua painter. Swirl some ink (use reinkers) and start with lightest color first. Apply more colors and keep layering until you get a background that you like. I wasn’t happy with the lost lagoon and daffodil delight turning green when they bled together, so I went in again with just lost lagoon (blue) and blackberry bliss and covered all the green and yellow. 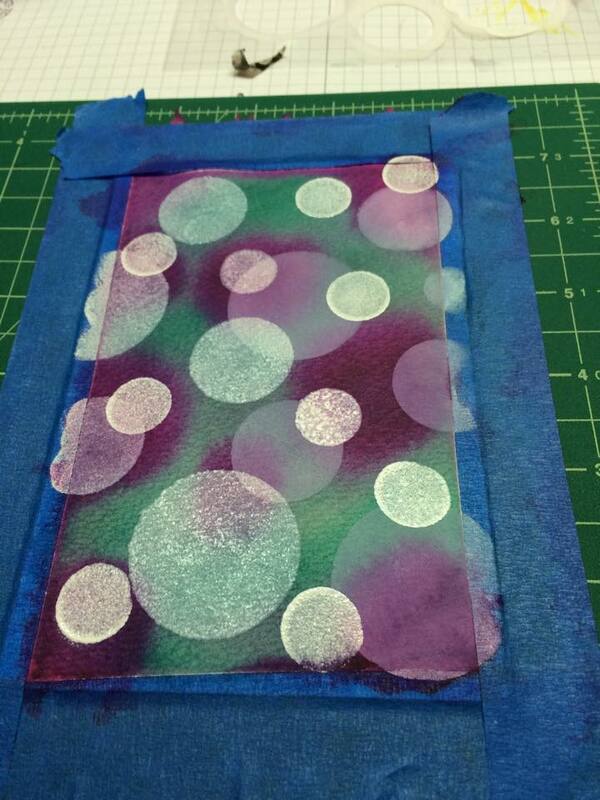 Luckily with watercolor paper you can keep layering. I made this stencil while waiting for the last layer to dry. Definitely do NOT try to use your punches on acetate or window sheets… the punch will jam up and break- believe me, I speak from experience on this one. 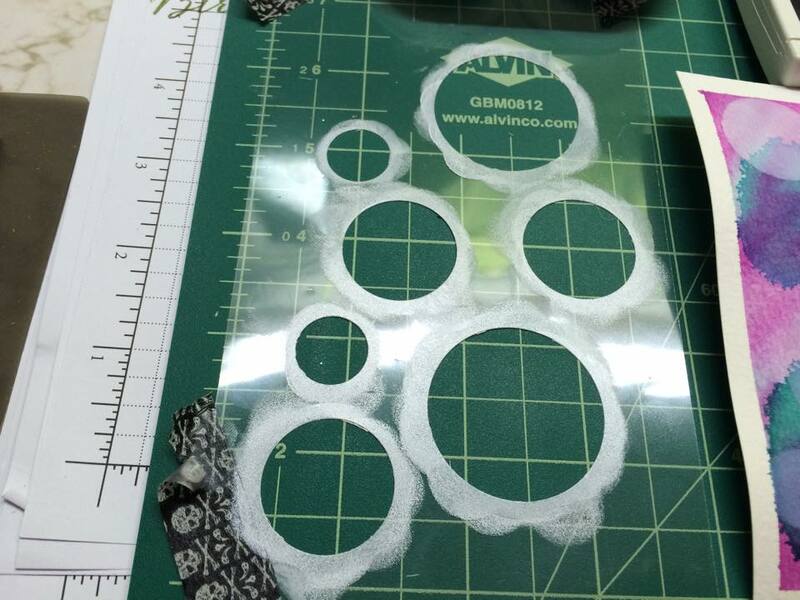 Use the circle framelits on the magnetic platform, and this stencil will be reusable. 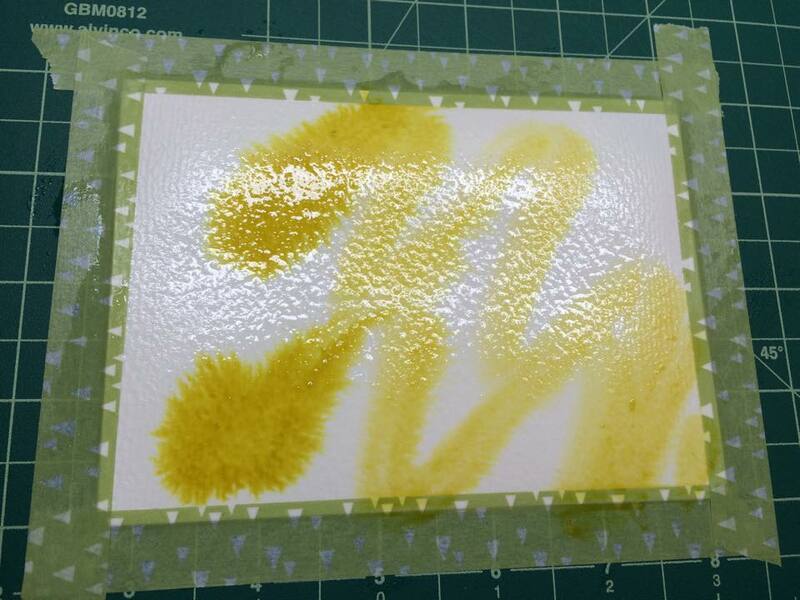 Since the paper wasn’t dry, I had to use my heat gun tool to dry the paper. 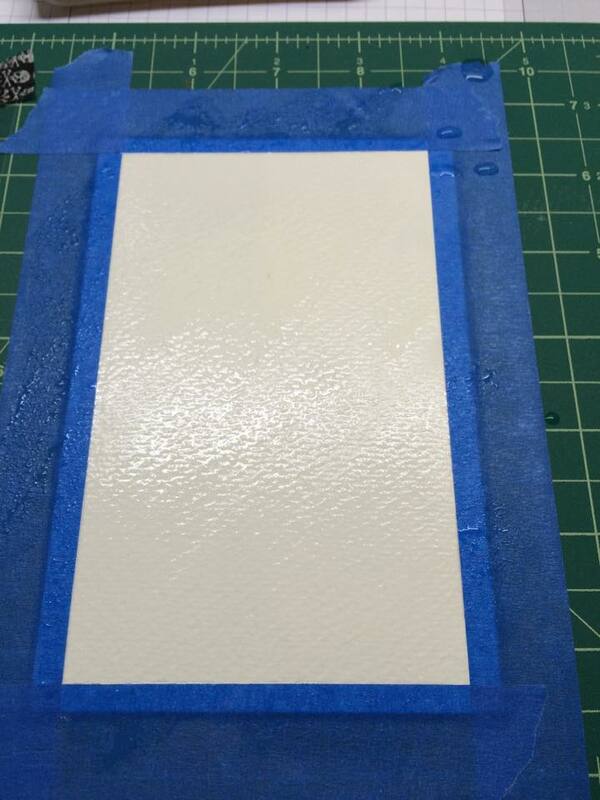 It has to be bone dry when you go to use the stencil, or the colors will bleed. So you can see that this has some complicated steps, but really not tooooo hard, if you aren’t in a hurry or anything. Just take your time and be sure to let everything dry completely before moving on to another step. 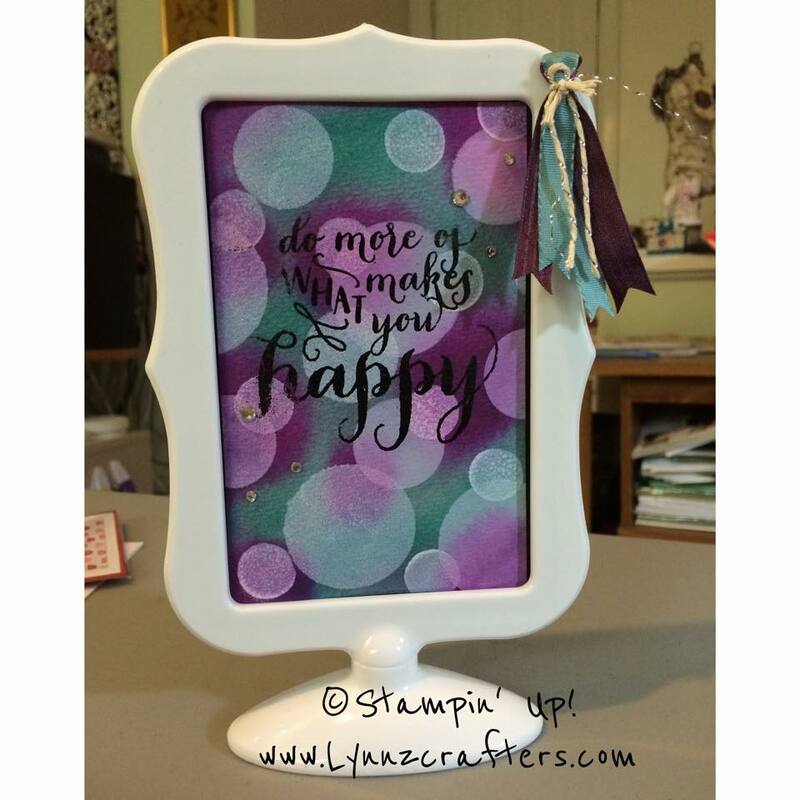 So this is my finished card… I wasn’t 100% happy with this one and knew I was going to try bokeh again, decided to make a cute sign for my office using the frame I received from my Christmas exchange (I won Judy’s tag creations and she had mounted them to a photo holder). So back to the watercolors, this time I decided to use painter’s tape (using the washi tape is fine if you are going to wait for layers to dry, when I used the heat gun to speed things along, the washi tape pulled up around the edges). 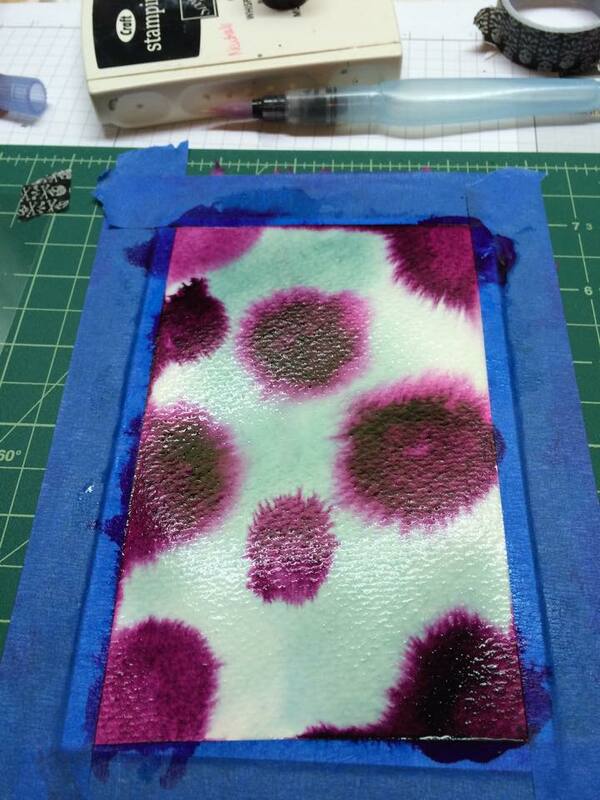 This piece just used Blue Lagoon and Blackberry Bliss ink. I also omitted yellow on the second version. 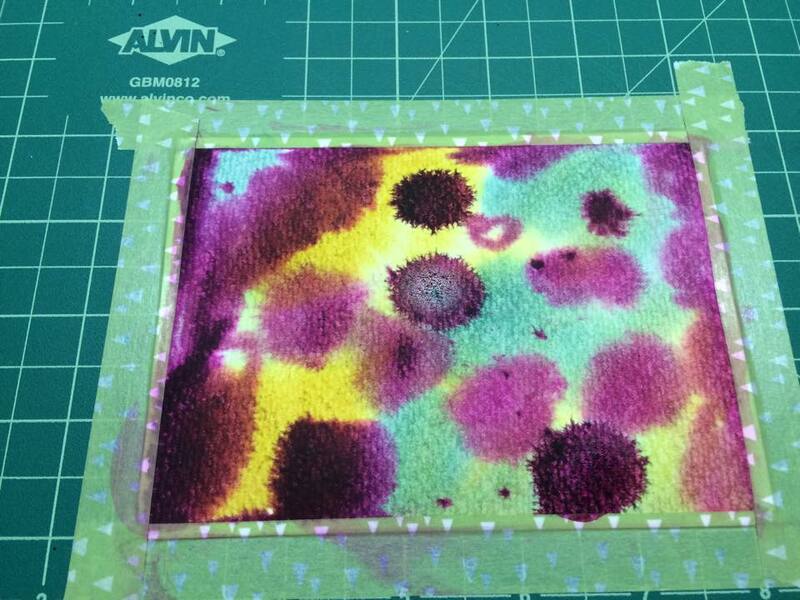 And definitely used the heat gun to thoroughly dry the completed watercolor paper. I could tell that I was in love with this version as soon as the craft white ink started to dry, stunning. 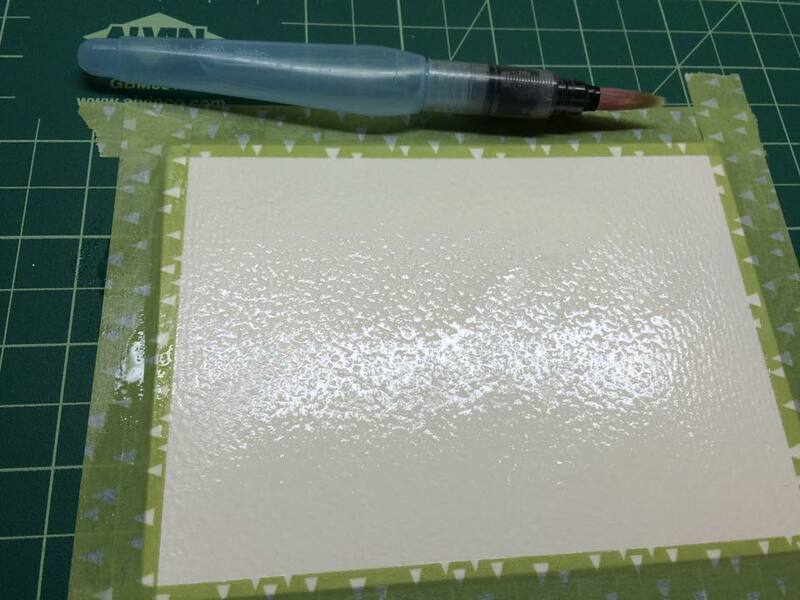 I did adhere this to a piece of basic black card stock for a firm flat finished piece, added our basic rhinestones in a couple stragetic spots, and added some ribbon trim at the top for a decorative finish. The first card took me about 45 minutes as I was learning the technique as I went. The second piece in the frame took me about 32 minutes from start to finish. 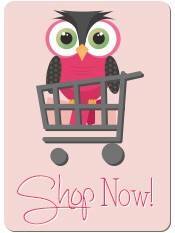 I tell you this in case you want to make a “WOW” card for someone. I think I will be doing this as a special Make & Take for my downline team at our retreat in April. 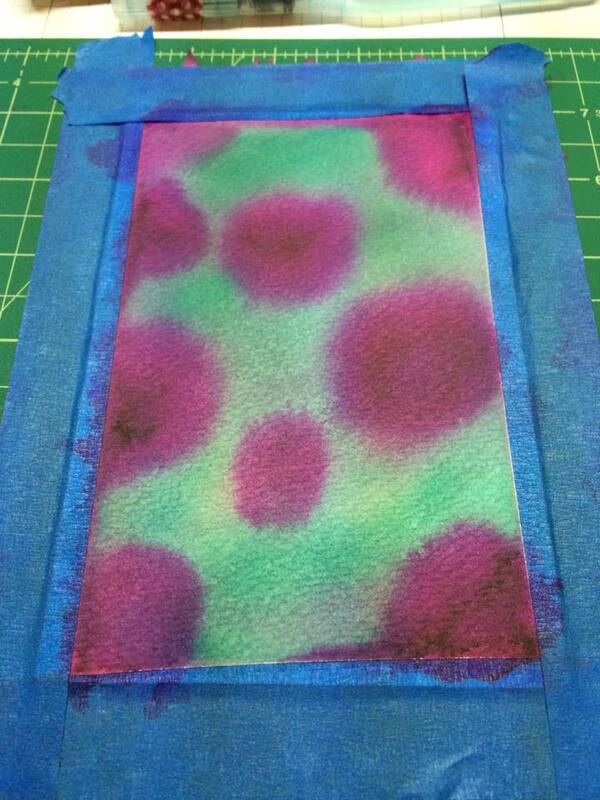 It’s not something that I think I could do in club or a card class, due to all the steps and drying time. I’d love to hear what you think of my version of the bokeh technique, please leave me a comment… what colors would you like to see in the bokeh technique- with all this snow today, maybe I’ll make another card. 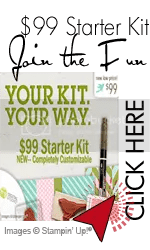 Let me know if you have any questions… I’m happy to help you learn this technique too. 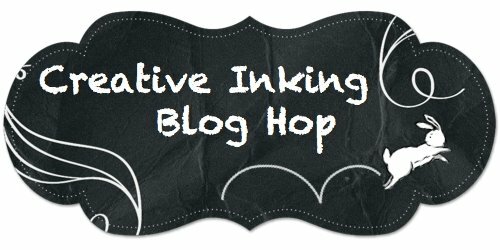 What other techniques would you like me to tackle on the blog? Yes, I’m taking special requests now too. 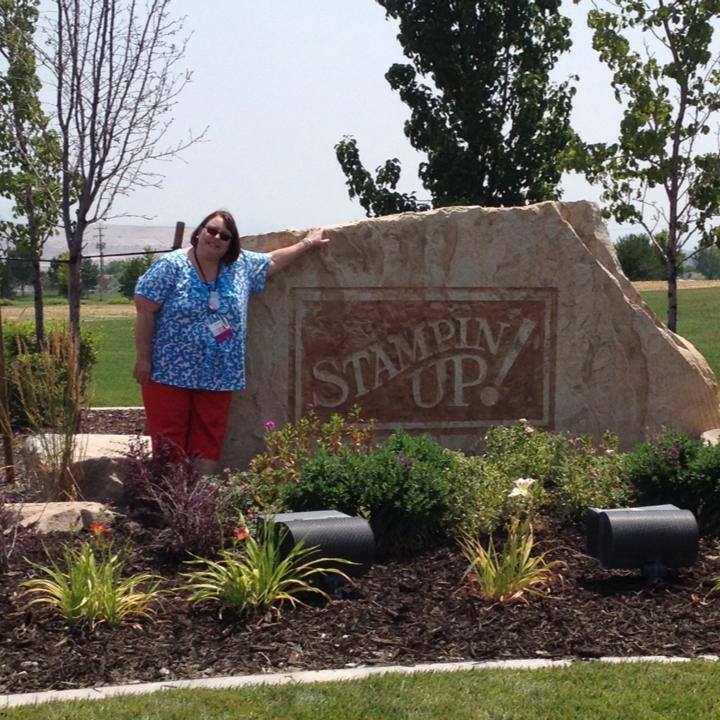 I wanted to let you know that I am so honored to be participating in a Stampin’ Up! 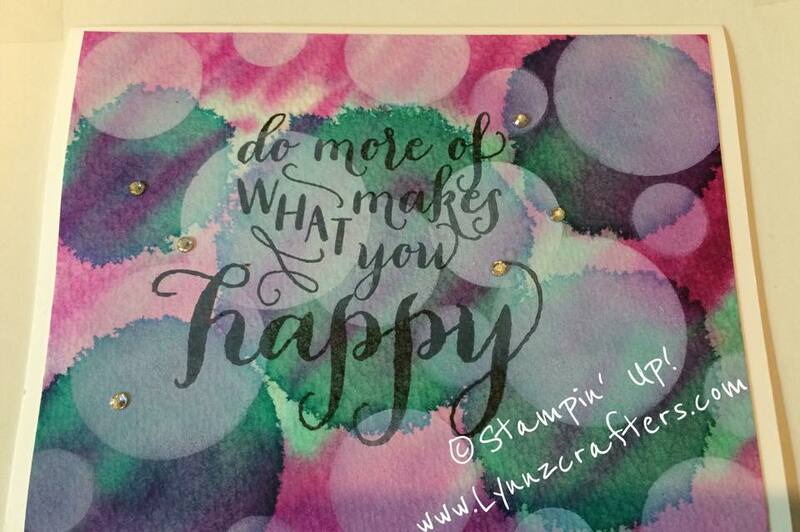 Demonstrator Blog Hop on the 20th of every month! 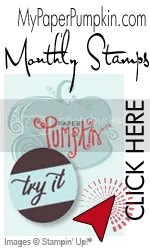 We start this month- so be sure to come back on Friday and check out 13 talented demonstrators and their blogs. 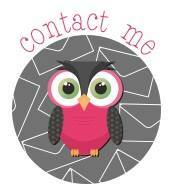 Here’s our logo that was designed by the amazing Amber! 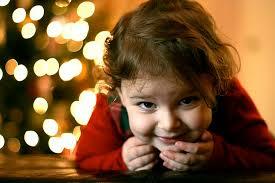 Have a wonderful day, and thanks a million for coming to visit my blog today! 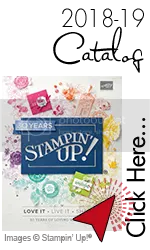 « You’re Invited to Our Stamping Soiree!